As promised, here is this week’s gameday recipe for an exciting weekend of games. I love this recipe because it’s a great way to use a healthy fall gourd that is abundant this time of year; we all know how much I love fall ingredients! Also, goat cheese of boring old mozzarella. So feel free to impress all of your football fanatic friends with this gourmet ‘za, or, if you’re like me and hate to share something so delicious, keep it all to yourself. 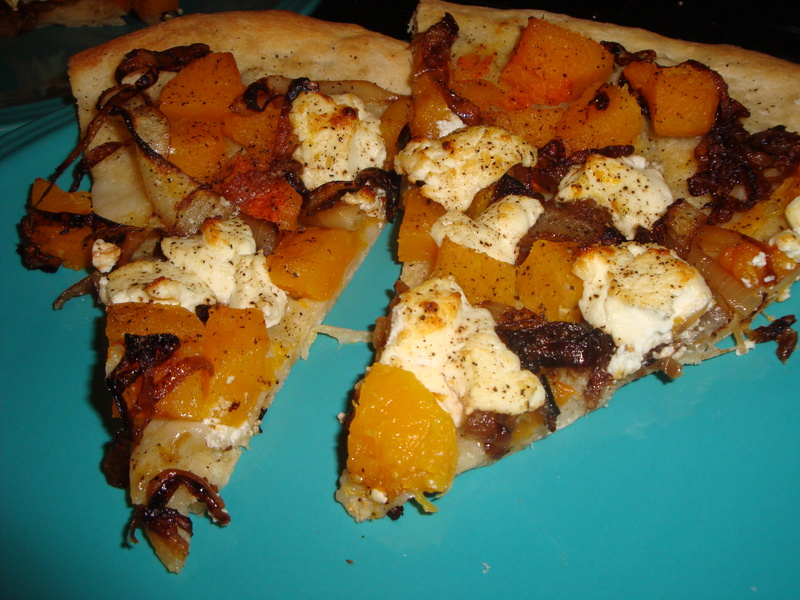 Toss squash with 1 teaspoon oil, 1/8 teaspoon salt and 1/8 teaspoon pepper. 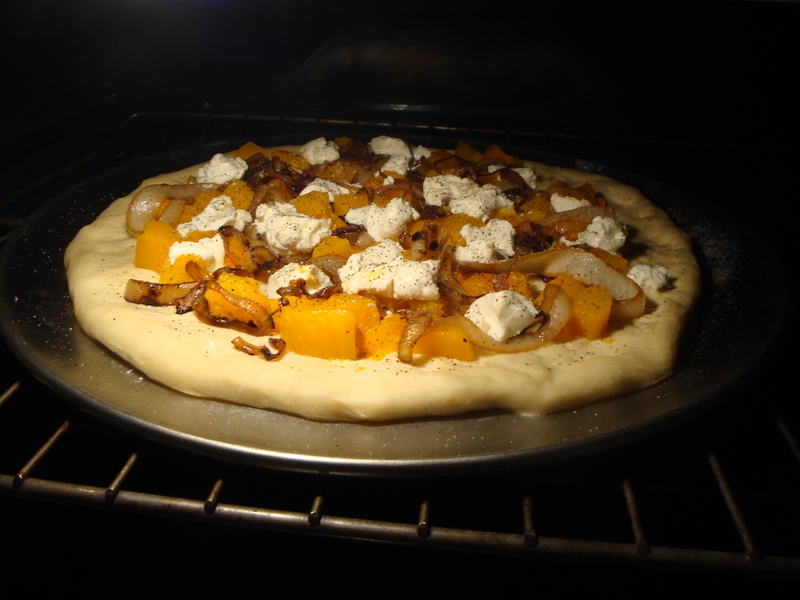 On a baking sheet, cook squash until soft and lightly browned, 25 minutes, stirring halfway through; set aside. Turn out prepared pizza dough onto lightly floured baking sheet or pizza pan and mold into desired shape. Let rest for 10 minutes. While dough is resting, in a large skillet over medium-high heat, heat remaining 1 tablespoon oil. Cook onion (season with remaining 1/8 teaspoon salt and 1/8 teaspoon pepper), stirring, until light brown, 10 minutes. Add 2 tablespoons water; cook, stirring, until brown, 5 minutes. Remove from heat. 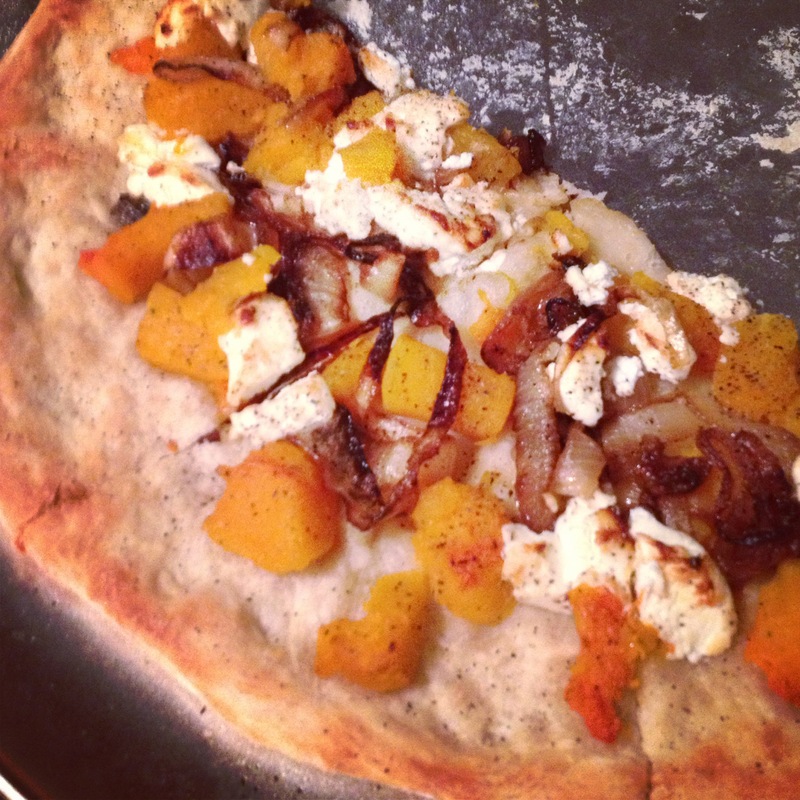 Sprinkle pizza dough with squash, onion, and cheese. Place baking sheet or pizza pan into the oven and bake until the crust edges brown and the cheese is slightly golden brown in spots, 10 to 12 minutes. Remove from the oven, slice (carefully!) and serve.